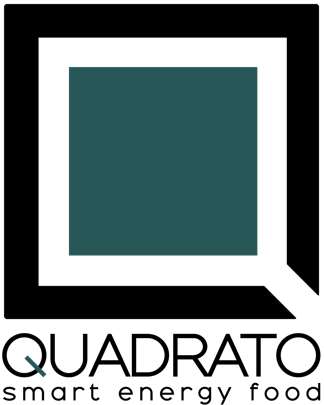 QUADRATOfitlife uses the Swiss Post for deliveries to Switzerland and Liechtenstein. Swiss Post guarantees delivery in 2-3 business days. Order value from CHF 90.-: Free shipping! The products are sent to the delivery address indicated by the customer during the ordering process. We deliver to Switzerland, Liechtenstein, by Swiss Post. The ordered items are usually delivered within 24 to 72 hours working days upon receipt of payment. The delivery made, the goods are under the full responsibility of the purchaser. QUADRATOfitlife can not be held responsible for the non-fulfillment of the delivery time in case of strikes, problems of postal services or delay in the delivery of postal services. We are not responsible for errors in entering your delivery address. In this context, all the actual costs incurred for forwarding will be borne by the customer. In the event of a delivery delay of more than three days, we suggest that you check the parcel tracking and contact Swiss Post directly. In case one of the products ordered is out of stock, the order will be delayed. An estimate of the delivery time will be sent by email and will require your confirmation. a) We send you the goods available and within 14 days after the missing items, the last package being at our expense. b) We wait for the items out of stock to send you all with our apologies and you offer a bracelet jewelry brand LOVA. fer you a LOVA bracelet jewelery.